Join Karen and Louisa on Books and Beyond this week, to explore works from some of New Zealand's finest Pasifika writers. Listen to this week's episode on PlanetFM's website and read on for all the books mentioned in the show. 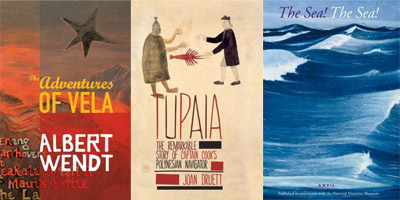 Auckland Libraries' new radio show Books and Beyond explores the world of books with guest authors, recommended reads, gems from the Central City Library basement and... beyond. Catch us on Planet FM104.6, Sundays at 9.35pm. Recent shows can be listened to as podcasts via the Planet FM website.